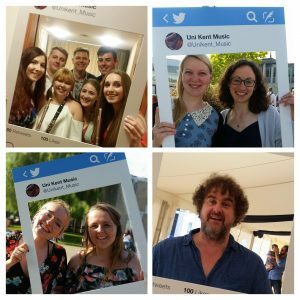 New building: latest images | Music Matters | Because it does. Doesn't it ? 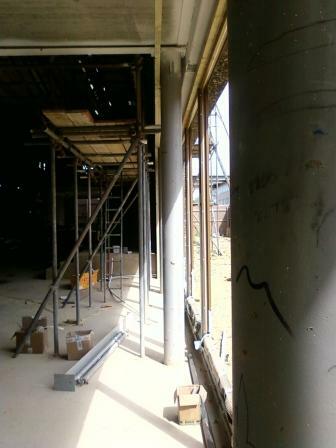 The foyer and reception space continues to unfold; the image above shows the view looking northwards, from what will be the continuation into the Gulbenkian Theatre, looking back towards the staircase to the first floor and across what will be the foyer space; here, the small foyer performance stage will be situated, together with tables and chairs. 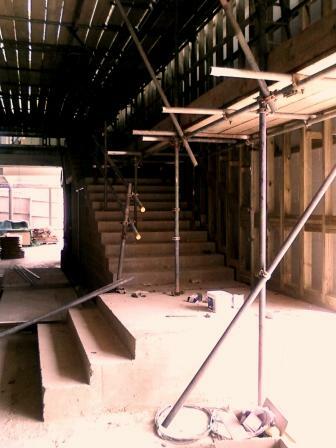 Above, the foot of the stairs to the upper floor; beyond it, to the left, there’s a glimpse of the social space which will located in the north-east corner, a place to meet, to work, or to wait for a performance to begin. 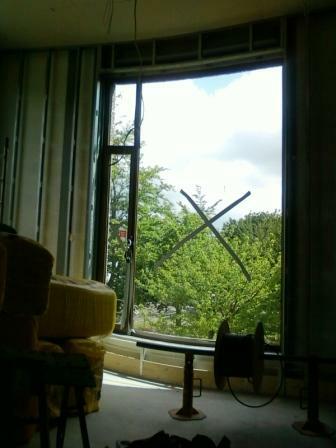 Moving upstairs, the two large ensemble rehearsal rooms are taking shape as bright, airy spaces with the admitting of natural light through floor-to-ceiling windows; above, one of the windows in the smaller (yes, the smaller!) of the two rooms. On concert nights, these rooms will also function as green rooms for performers. 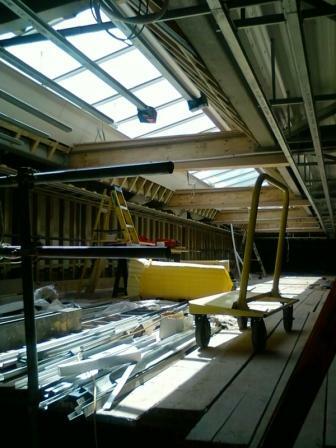 The foyer roof-light (above) will afford lots of light into the reception space below, underneath it will be a balcony offering standing-views overlooking the foyer performance stage below. The final image is inside the concert hall itself, from the balcony and looking northward again towards what will eventually be the choral seating. 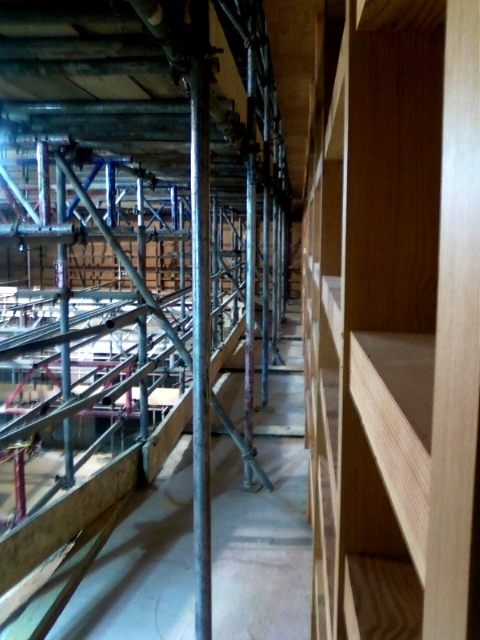 The wooden panelling (right), which will bedeck the inside of the hall, continues to appear. Exciting times indeed. See a full gallery of all the images from yesterday, and throughout the project, by clicking the album below.